Principal Cast : Tyrone Power, Gene Tierney, John Payne, Anne Baxter, Clifton Webb, Herbert Marshall, Lucile Watson, Frank Latimore, Elsa Lanchester, Cecil Humphreys, Fritz Kortner, Eugene Borden. For a film based on a story by acclaimed 30’s author W Somerset Maugham, of which not a word of the original text was used, The Razor’s Edge is both a fierce depiction of love and anguish and a full hour longer than it needed to be. 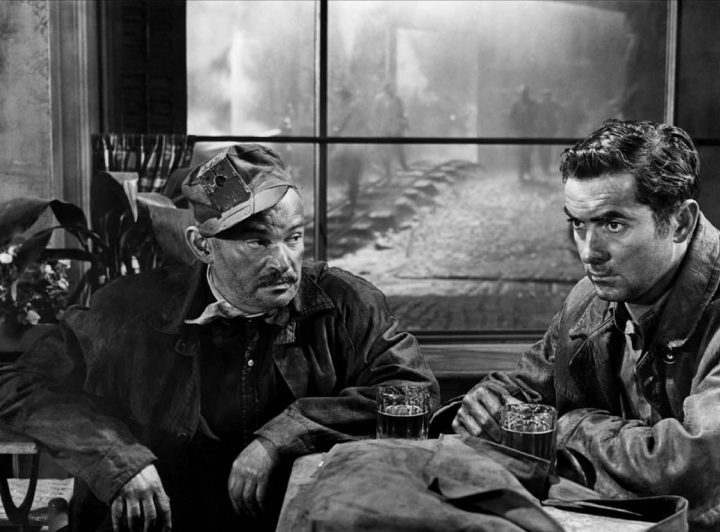 The film was nominated for Best Picture (among others) for 1946, losing to William Wyler’s The Best Years Of Our Lives, and if you work with the first hour or so Razor’s Edge is a strong, powerful film-making effort. 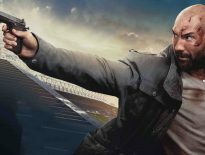 It’s the second hour and a half where things come unstuck, the sputtering momentum of unlikeable and unfathomable characters working too hard against the piffling plot and trifling emotional catharsis to really work like it ought. Inexplicably, the original draft of the screenplay – written by Maugham himself – was never used at all, with the credited writer (Lamar Trotti) trying to muster some shred of dramatic cadence alongside Edmund Goulding’s expensive-looking direction; the film would snag Anne Baxter a Best Supporting Actress Oscar for her work as the tragic Sophie, but even that feels confusingly insufficient to warrant such a monumentally self-indulgent venture. The end of the Great War, and aristocratic expat Elliot Templeton (Clifton Webb – The Dark Corner) throws a party to celebrate; invitees include his sister Louisa Bradley (Lucile Watson – Mr & Mrs Smith), resident author W Somerset Maugham (Herbert Marshall – Murder!, Foreign Correspondent), lovers Sophie (Anne Baxter – All About Eve) and Bob (Frank Latimore), as well as Templeton’s niece Isabel (Gene Tierney – On The Riviera) and her fiancee Larry (Tyrone Power – The Mark of Zorro), the latter of whom Elliot does not approve of despite him being a returned soldier. 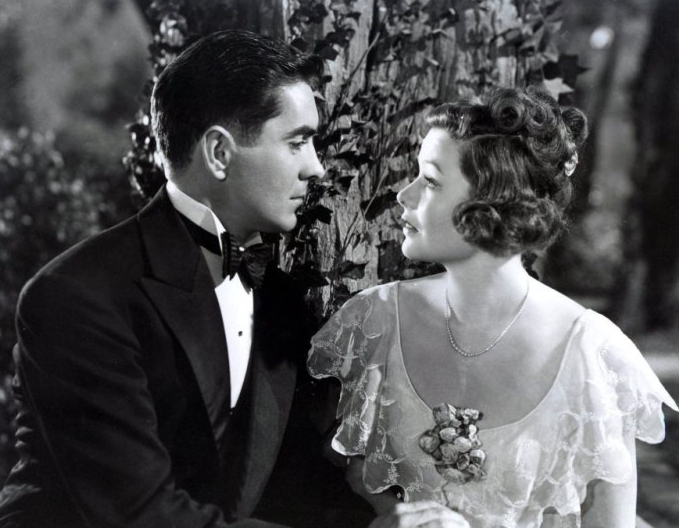 Larry is unsettled due to the effects of the war, and takes off to “find himself” leaving Isabel to wait; a year later, they meet up in Paris where their engagement is called off, and Isabel eventually falls for handsome multimillionaire Gray Maturin (John Payne), whom she marries and eventually has children. Nearly a decade later, Larry crosses paths with Isabel and Gray again, with Gray despondent following the stock market crash of 1929, and Isabel’s love for her former fiancee takes hold again. They discover Sophie drunk and prostituting herself in a Parisian quarter, following the death of Bob and her infant child years before; Larry tries to help her, much to Isabel’s chagrin, leading to further angst developing between the pair once more. Parts of The Razor’s Edge are really good. The opening hour in particular, sparkles with a sense of occasion and charm that’s undeniable. 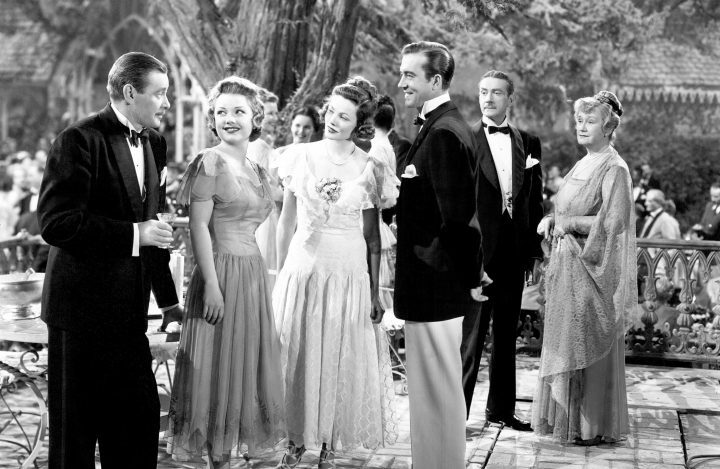 Strong dialogue and interesting characters open the film’s premise of love and youthful postwar exuberance, before a melancholy darkness overtakes the story midway through; this turn to darkness and the intended tragedy of the film’s disparate characters aren’t able to sustain interest, with Edmund Goulding’s direction remaining convincing even when his focus feels too stretched out. 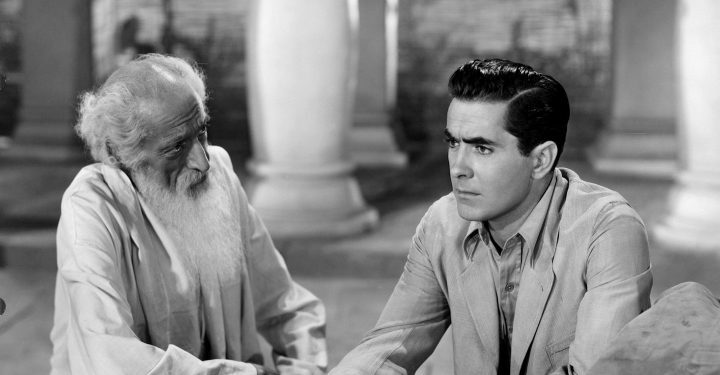 Although it plays largely as an ensemble piece, with the film’s author Maugham floating through the movie (in the form of Herbert Marshall, who looks at times distinctly uncomfortable in the role, to be honest), the central focus is on Tyrone Power’s ubiquitous Larry, a man torn between self-growth and the love of his life Isabel, although the film does struggle to invest is in his “finding myself” arc to its detriment. 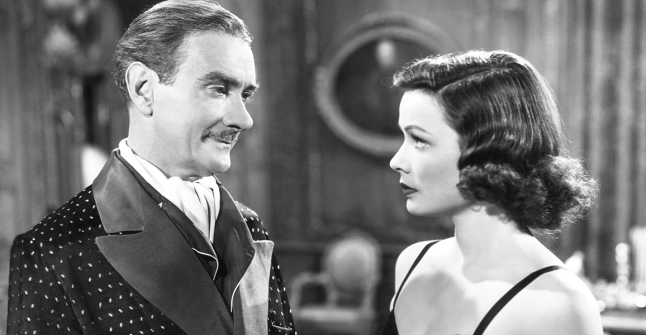 Comedic value is mined from Clifton Webb’s uppity, snobby Elliot, a wealthy upper-class man who continuously looks down his nose at everything and at one point even uses the phrase “hoi-poloi” without a shred of irony. He’s fun, but that’s about it. Almost salvaging the film completely is the utterly mesmerising Gene Tierney. Tierney is absolutely gorgeous as the besotted Isabel, throwing herself at Larry throughout the film’s first half, and becoming downright nasty during the more tempestuous later acts. She is a showcase of Hollywood beauty, a startling vision both alluring and bewitching, and I was utterly transfixed by her the moment she appeared on the screen. The camera loves her, indeed, and her chemistry with both Power and later on John Payne, is legitimately blistering. A firebrand performance, the role of Isabel allows Tierney to showcase her talent as an actress, and is one of the film’s strongest elements. Conversely, Oscar-winning Anne Baxter’s performance as the tragic Sophie leaves a lot to be desired. Overwrought and thoroughly wooden, Baxter throws herself into the alcoholic, grieving character’s histrionic arc with intent that never resolves; perhaps some might disagree, but I thought her character and performance to be the film’s singularly largest failing. Supporting roles to the fabulous Lucile Watson, as Elliot’s sister, legendary German film-star Fritz Kortner (Mata Hari) as a fallen priest, and Cecil Humphreys as an Indian holy man, are enjoyable if fleeting, while both John Payne and the short-lived Frank Latimore offer indifferent elements to their respective roles. Sharp-eyed viewers will also spot future Mary Poppins housemaid Elsa Lanchester in a minor role as a secretary. 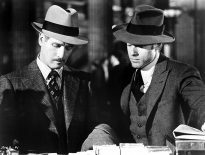 In terms of its technical merits, The Razor’s Edge is a sumptuous, all-expenses paid extravaganza of production design. Interior sets are lavish and packed with detail, even the cramped Parisian cafes and apartments frequented by the characters at various points. The costuming is sublime (Tierney maximises the camera’s attention with some truly remarkable haute couture) and the film’s cinematography is startling for its depth and originality. Kudos to Oscar-winning lensman Arthur C Miller (How Green Was My Valley) for his work here, as the film’s darker undertones late in the game are echoed by a maudlin, stark visual style that deviates a touch from the earlier, “brighter” look. Interestingly, the score was composed by Hollywood titan Arthur Miller (Young Mr Lincoln) but it’s not among his more memorable works (in my opinion), and feels rather plain. The Razor’s Edge was nominated for a Best Picture Oscar and I can see why: it taps into all the things serious awards’ films aim at, such as romance, death, sorrow, bleakness of relationships and hypnotic beauty in its leading lady. For that, fair play to the movie. Sadly, I found the film tough going in the end, despite a wonderfully charming and elegant opening half. The turgid, constipated anger and tragedy of the film’s second half didn’t hit with me, in spite of Power and Tierney’s compelling central performances, and the trudging second act could have been trimmed by at least half an hour. If the film had been an hour shorter, it might have been worthy of a solid A, but alas, I’m compelled to grade it lower purely because things screeched to a grinding halt about an hour or so in. The Razor’s Edge is recommended for Maugham devotees, and is worth at least one look, but I did come away from this one a little disappointed.